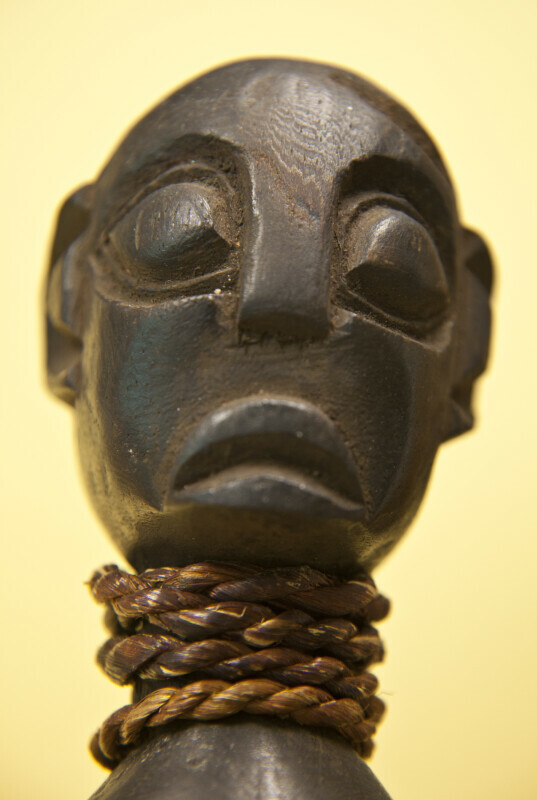 Hand carved wood figure of male from Cameroon. He has a large head with a flattened nose, large ears and spherical eyes. He has a rope of twine wrapped around neck, down his back and around his waist. The Republic of Cameroon is bordered by Nigeria, Chad. the Central African Republic. Equatorial Guinea, Gabon, and the Republic of the Congo. The figure is 12 inches (30 cm) tall. WARNING: You are about to download a 25.7 MB TIFF!